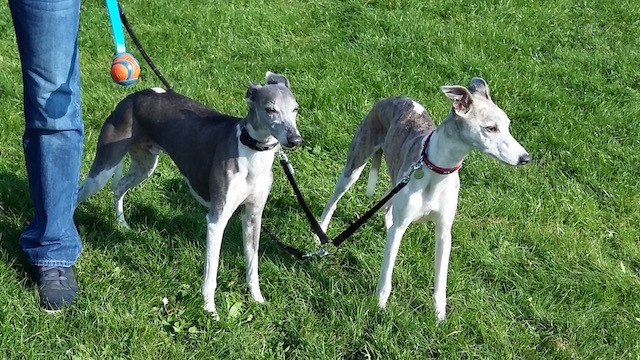 Pictured here are Rudy and Delilah, 2 beautiful whippets and wonderful canine host carers! They belong to a lovely family called the Battes, Jo, husband Stuart and 2 children Josh and Anna live on Grange Farm in Kesgrave and have access to many walks lovely walks nearby. Rudy and Delila are lucky enough to have human company all day long as their mummy Jo has no working commitments, so able to spend lots and lots of time with lucky doggies who are on holiday with them. Not only are the Battes host carers but also customers of Holiday Dogs, they know just how important it is that your four legged friends are happy and content whilst away from home and know just how to make a holiday-ing dog feel at home with them. 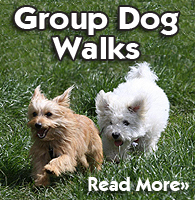 Offering an Introductory Day Care first gives new doggies the chance to get to know Rudy and Delila really well. They can then return for their holiday already knowing just where the doggy adventures begin!